Transport Focus is an executive non-departmental public body, sponsored by the Department for Transport. It is run by a management team (see more below) led by a Board of non-executive directors. You can see responsibilities and reporting lines of our staff in this organisation chart. 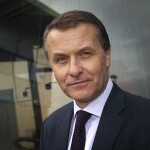 The management team is led by chief executive Anthony Smith. Click below to find out more about us, and how to get in touch. Anthony Smith has advocated for passengers since 1999 and been a voice for consumers since 1989. Having trained and practised as a solicitor, he joined Which? as a lawyer and campaigner. 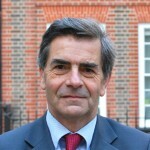 A stint as a legal advisor to Consumer International, a worldwide federation of consumer groups, was followed by his appointment as Chief Executive of ICSTIS, the then regulator of premium rate telephone services. He is also a member of the Civil Aviation Authority’s Consumer Panel. Anthony cycles around London where he lives and is a frequent user of the Northern Line and the commuter rail network. Having spent many years on Britain’s road, rail and bus network, Anthony has some clear favourites. His top bus journey is the Purbeck Breezer. His favourite rail trip is Manchester to Sheffield and best car journey is the Medway Bridge on the M2. However, nothing tops the journey home. Anthony blogs, tweets, and can be found on LinkedIn. Nigel Holden is responsible for providing professional support on all resource issues, including staff, finance and procurement, premises, and information technology. 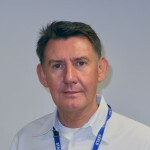 Nigel has been with Transport Focus since 2005 and before that was Finance Director at the NHS Pensions Agency for 10 years with responsibility for finance and human resources. 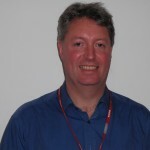 David Sidebottom is Passenger Team Director at Transport Focus. He joined the team in 2006 after 11 years with energywatch, representing energy consumers in the North West as Regional Director. David brings considerable consumer advocacy experience to his work on behalf of passengers. At Transport Focus, he has campaigned on issues affecting bus, coach and tram passengers and now oversees work on behalf of all passengers. David commutes into central Manchester by train and travels extensively across the British rail network as part of his role. Outside of work, David is a bit of a ‘petrol head’ and enjoys driving around. For David, the best thing about taking a journey is observing his fellow passengers and how they interact with the various stages of their journey. His worst journey is one where delays or disruption are not properly managed because of a lack of good and timely information. You can find David on LinkedIn. Ian Wright has previously worked in research agencies, consultancies and his own company. In his current role as Head of Insight at Transport Focus this means growing the organisation’s understanding of transport users. 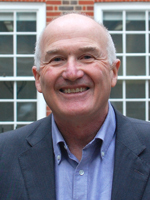 Dr Douglas Dalziel brings expertise from his past roles in consultancy, research and as a clinical psychologist. He is developing innovative products that will allow outside organisations to draw on the extensive insight and experience at Transport Focus. There is no typical day but the driving force is to bring Britain’s road and rail organisations closer to their users, for the benefit of both. Outside work, Douglas enjoys trips back to his native Scotland. One journey he hopes not to repeat is sleeping through his stop on the overnight train from London. Jon joined British rail in 1996, following ten years in the private sector in hospitality. He was involved in the privatisation of British Rail’s freight businesses. In 1998 the Office of the Rail Regulator appointed him Deputy Director and Network Coordinator of the then Central Rail Users’ Consultative Committee, Transport Focus’s forerunner. Initially responsible for operations in the eight regional and national offices, Jon now oversees the Business Service team. He is responsible for all aspects of corporate governance, including board appointments, business planning and change management. Jon’s favourite journey starts at London St Pancras when he catches the early evening train to Paris Nord. It’s then on to Paris Austerlitz for an overnight train to Montauban. There are few overnighters left so it is the perfect start to a break in the French countryside. Jon’s commute from his home in Margate is the opposite – long and uneventful. It has none of the magic of his French adventure. Sara Nelson is a public sector communications specialist with a background in journalism. Previously she has worked for the Department for Work and Pensions, a sector skills council and a local authority. Travelling up the East Coast Mainline – stunning views at points, but also the welcome sight of terraced streets and the Angel which mean I’m nearly ‘home’. Sara is on Linkedin, tweets, or can be reached via the press office. The Board sets the strategic direction for the organisation. It is led by Chair, Jeff Halliwell. 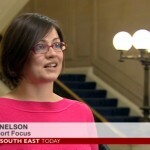 Transport Focus can have up to 14 board members. The Scottish Government, Welsh Government and the Greater London Authority each appoint a member to the Board. The remaining appointments are made by the Secretary of State for Transport. Recruitment to the Board is based on merit. Appointments are regulated by The Office of the Commissioner for Public Appointments. Jeff brings extensive marketing, commercial and leadership experience to the Transport Focus board, which he has chaired since 2015. His career spans the food, health, education and transport sectors, including time at international companies Mars and Colgate-Palmolive. He has led household-name businesses Fox’s Biscuits, Bernard Matthews and First Milk. This has seen him lead public, private, governmental and charitable bodies. In addition to his strong and balanced advocacy for transport users via Transport Focus, he holds Chair and Non-Executive Director roles at Anglian Water, Cáfedirect, Working Links, Airport Coordination and Natures Menu. Jeff has two favourite journeys. One was driving the coast-to-coast across the USA; delivering cars from Virginia to California then back to New England. The other was going to Istanbul by train last summer. On his way he tried out rail travel in France, Germany, Austria, Hungary, Romania and Bulgaria. 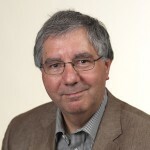 Philip Mendelsohn is experienced in the fields of transport planning and intelligent transport systems and has worked with a cross section of stakeholders including Transport Scotland, Highways Agency, the Welsh Assembly, Strathclyde Partnership for Transport, Transport for London, Network Rail and several Local Authorities. Philip was appointed by the Scottish Ministers. Diane McCrea has worked in consumer policy (mainly food and water issues) in Wales, the UK, Europe and internationally. 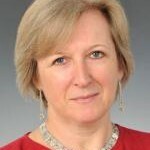 She has experience of working as a Board member of several organisations in the voluntary and private sectors, as well a Trustee of educational and research charities. Her background is in research and education. 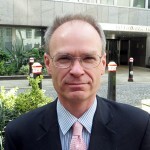 Stephen Locke brings consumer policy and regulation expertise to the Transport Focus board and its Statistics Governance Group, which he chairs. He has helped lead and advise consumer bodies like Which? Ofcom, the Financial Services Agency and the Independent Television Commission. He currently chairs London Travelwatch and the committee that advises the Advertising Standards Agency and Broadcast Committee of Advertising Practice. 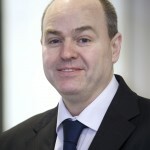 He is vice chair of Consumer Focus and an independent board member of the Payments Council and the Money Advice Service. Stephen’s best journey was on a bus in south London on Christmas Eve. The driver was singing carols in a magnificent baritone voice. Passengers joined in, clapped at the end of each carol and wished each other merry Christmas. Much less enjoyable was the time faulty train information at Charing Cross turned a 25-minute journey to Honor Oak Park into a two-hour round trip. Stephen’s train failed to stop at London Bridge, his changing point. In fact it was non stop to Ashford, Kent – some 80km away. Faced with the prospect of an overnight stay, he just made the last train home to Honor Oak Park. 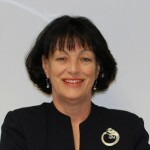 Marian Lauder MBE’s leadership skills were honed during her career in the Army, where she gained extensive experience of policy, strategy-setting and managing change and organisational reform. In the latter years with the Army, Marian specialised in HR and education, developing expertise that would see her work as an executive coach and non-executive director at British Cycling. Marian also has 6 years experience as a trustee of Sustrans, the UK’s leading sustainable transport charity. She chaired the board for three of those years. Marian is a regular user of public transport and the strategic road network as she travels frequently to Scotland, Manchester and other parts of Britain. Her worst rail journey was an evening trip from London to Newcastle. During the journey a lump of concrete was dropped from a bridge onto the driver’s cab. It smashed the window and traumatised the driver. There was a four-hour delay for hundreds of passengers, with a new train and driver. One positive though, was that the train manager handed out delay claim forms to passengers! 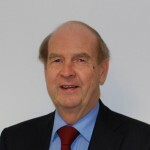 Bob Linnard is a recently retired senior civil servant with a deep knowledge of transport policy and people, particularly in relation to rail and local transport. 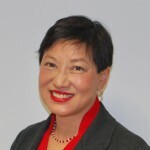 Isabel Liu brings 20 years’ experience of investing in transport infrastructure in the UK, Europe, Americas and Asia Pacific to the board of Transport Focus. As an investment director for a EUR1 billion infrastructure fund, Isabel invested in highways and bus or metro interchanges. She previously ran John Laing’s Asia Pacific investment business and also invested a USD1 billion Asian infrastructure fund. Isabel is a member of the board of the Pensions Infrastructure Platform. She has a BA in Economics from the Ohio State University, a Masters in Public Policy from Harvard Kennedy School of Government, and an MBA from Chicago Booth School of Business. Isabel focuses on accessibility and diversity issues for Transport Focus and serves on its Audit & Risk Assurance and Remuneration committees. 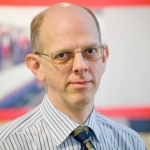 Paul Rowen joined Transport Focus in 2010 with specific responsibilities as Chair of the Bus, Coach and Tram Task Force and as an Audit and Risk Assurance Committee member. Paul brings a strong focus on quality, safety and finance to his work with Transport Focus, as well as industry knowledge. He is a director of the Light Rail Transit Association. His public service record includes time as a deputy head teacher, local councillor and an MP. He is a Trustee of Arthritis Research UK and serves on the NHS Heywood Middleton and Rochdale Clinical Commissioning Group governing body. Paul’s favourite journey is on the Settle – Carlisle Railway, a reminder of how magnificent our Victorian forefathers were as engineers. It is a very different journey from his least favourite trip on the M25 orbital motorway – something that reminds him why he should use public transport as much as possible! Paul is on Twitter, LinkedIn or email. 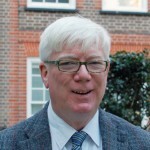 Dr Stuart Burgess CBE is the former chair of the Commission for Rural Communities and he has also been active in third world debt reduction at the highest levels. Theo de Pencier was appointed in 2015 with a specific focus on the interests of road users. He is well-placed for this role, having established strong and effective relationships across the sector during a long career in transportation and within the wider business community while on the Confederation of British Industry (CBI) President’s committee. 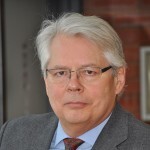 Theo has over 30 years’ Board level experience in logistics and supply chain, working for NFC and Danzas before joining Bibby Line Group in 1999 as Managing Director of Bibby Distribution. 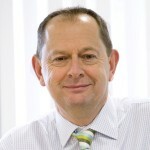 In 2007, he joined the Freight Transport Association as chief executive, from which he retired in 2015. 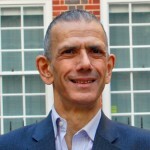 He is a non-executive director of the London Ambulance Service NHS Trust and a fellow of the Chartered Institute of Logistics and Transport (FCILT). In 2016 Theo was elected to the Motor Transport Hall of Fame in recognition of his service to the road transport industry. Theo’s best journey is in Canada, from Jasper to Banff via Lake Louise. There are brown bears and moose at the side of the road and you can visit the glacier and ice fields en route. It is a far cry from his worst journey, a regular commute from Harpenden to Tunbridge Wells via the M25 and Dartford Crossing. While you never knew where the delay would be, you could be pretty sure there would be one.